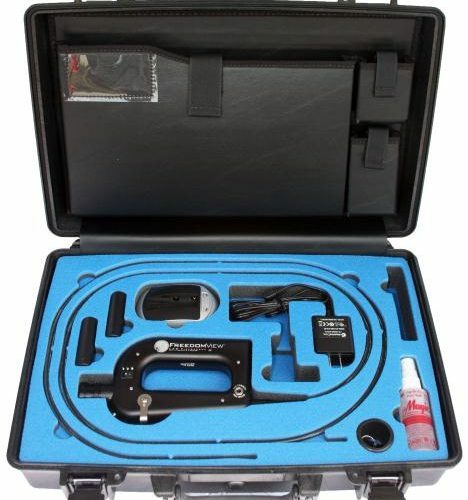 The compact, handheld FreedomView® LED Fiberscope transforms law enforcement search techniques, maximizing your contraband seizure potential with the least intrusive method. Our patented, integrated LED light source eliminates cumbersome external light sources while providing exceptional visibility and flexibility. The FreedomView LED Fiberscope puts the most challenging seizures within your reach, in seconds. Set: Fibroscope, Li-ion battery, charger, user manual and cary case. Options: 110V adapter, car supply adapter, protective tube, side view adapter, camera adapter. FreedomView LED Videoscope has received certification from Underwriters Laboratories (UL), the leading authority on product safety, for use in Class I, Division 2 Hazardous Locations. 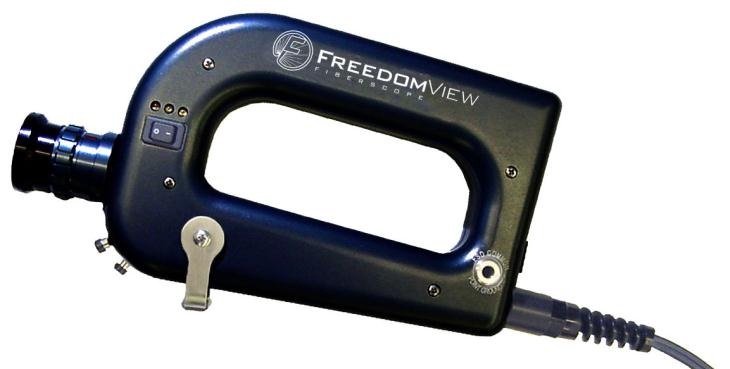 FreedomView LED Videoscope complies with UL standards and requirements for nonincendive electrical equipment. 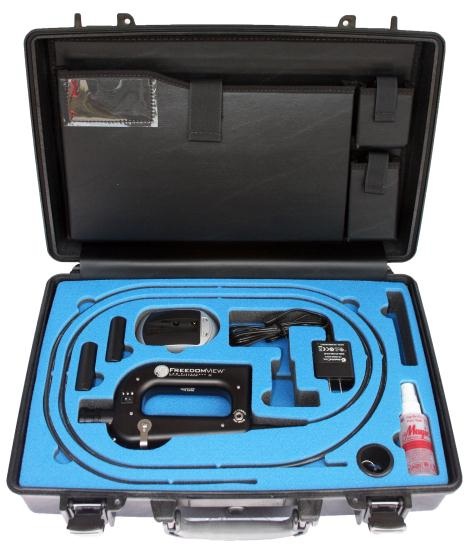 The FV Videoscope allows law enforcement agencies to safely perform visual inspections of vehicles and other areas where contraband may be hidden. The FV Videoscope's durable and intuitive construction is made for real world conditions with a rugged tungsten shaft, transflective touchscreen display and easy to use control functions. 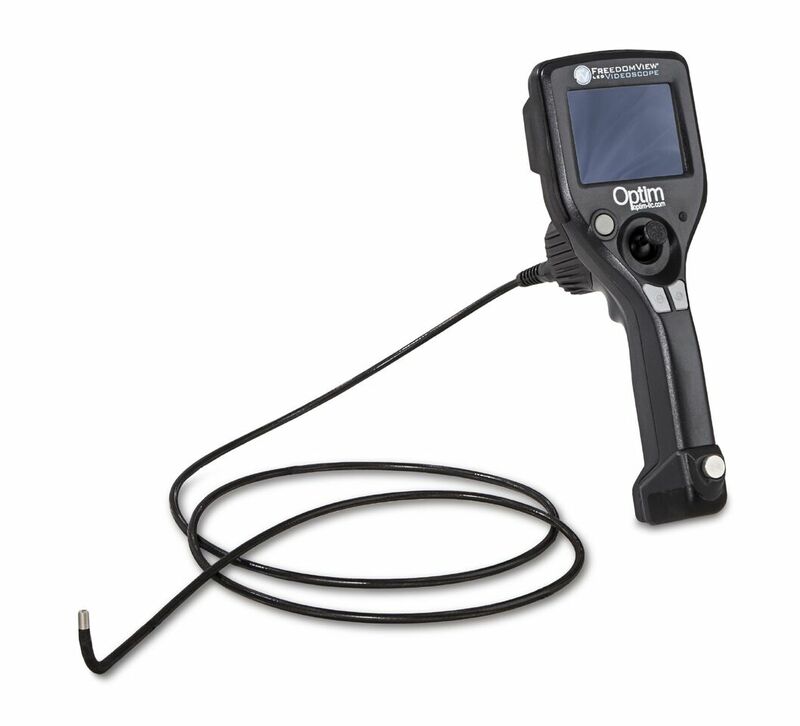 The FV Videoscope transforms field inspections with its patented, integrated LED light source and sleek, compact handle design. It offers greater flexibility, while providing exceptional light quality and visual clarity to allow a wide range of non-intrusive, non-destructive visual inspection tasks virtually anywhere, quickly and easily. Lightweight, completely portable design-approximately 2 pounds!